Howard Cordray has the honor of being voted by his attorney peers as a “Texas Super Lawyer” for several years. A “Texas Super Lawyer” is considered to be among the best in their profession representing the top five percent of the practicing attorneys in Texas. Texas Super Lawyers were selected by their peers in an extensive nomination and polling process conducted by Law and Politics Magazine and the publishers of Texas Monthly Magazine. Howard has extensive experience in handling all of the issues related to the negotiation and closing of transactions involving acquisition, financing, development, operation, management, leasing, or disposition of real estate. He also has significant expertise in both litigation management and a wide variety of business transactions that do not involve real estate. Howard received his college Bachelor’s in Business degree with concentration in accounting and finance from Southern Methodist University and his Doctorate of Jurisprudence degree from the University of Houston Law Center. Howard is Board Certified in Commercial Real Estate Law by the Texas Board of Legal Specialization and Board Certified in Residential Real Estate Law by the Texas Board of Legal Specialization. Since 1992, he has maintained and earned the highest legal ability rating and the highest general recommendation rating from the Martindale-Hubbell Law Directory based upon confidential opinions from members of the State Bar of Texas. In 1993, Howard attained the distinction of being awarded membership in the College of the State Bar of Texas. 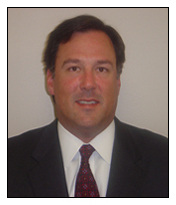 He has been a licensed real estate broker by the Texas Real Estate Commission in the State of Texas since 1979.